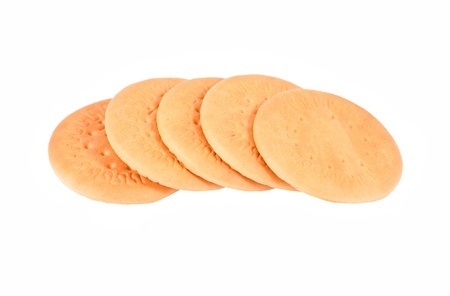 Hardtack has been a common survival food for many years; after all, Civil War soldiers (as well as the British Navy) used to eat it in order to be sustained on the battlefield or on long voyages. Hardtack is considered to be an ideal survival food due to it being incredibly inexpensive and easy to make, as well as its ability to stay edible for long periods of time – when made correctly, it can last up to 50 years! Today I’m going to teach you how to make this hard biscuit yourself; it may just outlast the rest of your survival food, and could save your life in an emergency. Preheat your oven to 375°F. While the oven is preheating, mix the flour and salt in your mixing bowl. Then stir in a little bit of water at a time until you’ve got a pliable dough (should no longer be sticky). Roll the dough out flat into a square; make sure to roll the dough to less than 1/2″ in thickness. Use your knife to cut the dough into nine squares. Insert the nail into each square 16 times (this will help air and moisture to escape). Break apart the squares, and space them out on the cookie sheet (do not spray/grease beforehand). Bake for 1 hour, turning the crackers over halfway through. After an hour, remove the cookie sheet from the oven and set out to cool. Each square should be slightly brown. Store each square separately in a plastic resealable bag, and add to your survival pantry, bug out bag, or emergency kit. 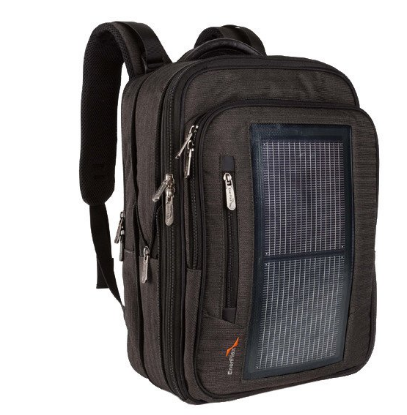 Note: If you haven’t gotten a bug out bag yet, we’ve got a great one – it’s comfy, has tons of storage space, AND charges your USB devices using the power of the sun! See this amazing bag here. Like I said, hardtack is an extremely useful survival food that’s been used for generations; it’s inexpensive, insanely simple to make, easy to ration out, and lasts forever. Using this recipe, each ration is about 150 calories, so they’re perfect for snacking throughout the day. So, it’s basically a prepper’s dream when it comes to survival food….right? As you saw in the video, the guy had a tough time getting this stuff to become soft enough to not break his teeth. Some preppers have said they got hardtack to become easier on their teeth by first soaking the cracker in water,and then frying it in salt pork fat and topping it with sugar (apparently tasty, but not healthy). 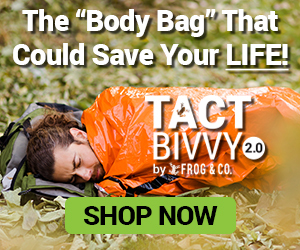 As for me, I might be willing to try the stuff, but wouldn’t take it with me when camping or bugging out – probably because, when I take my survival food out of my bug out bag in a crisis, I want to be sure I can easily eat the stuff right away, without having to fiddle with cookware or worrying about breaking my teeth off. From my experience, these 3600 calorie food bars are a way better alternative.]. They taste great (like shortbread! ), are easy to eat (unwrap and enjoy), last a long time (5 year shelf-life), and are already pre-rationed (400 calories per bar), making them more filling, tastier, and more convenient (in my opinion) than hardtack will ever be. 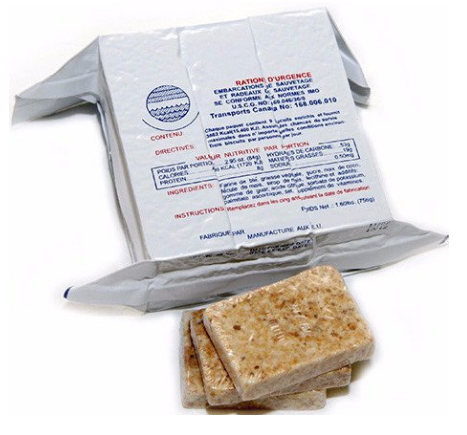 Plus, like hardtack, these food bars are also battle tested – the U.S. Coast Guard and other emergency relief services depended on these very food bars for sustenance while defending our maritime borders. If these bars are good enough for them, they’re darn well good enough for me. So I figure, doing a side-by-side comparison, I’d much rather eat these 3600 calorie food bars while in a crisis. They’re tasty, pre-rationed, super affordable, and dang delicious. 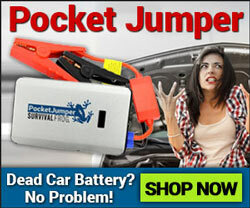 Plus, they’re a heck of a lot easier on those pearly whites! Click here or on the image below to grab some of these tasty morsels for yourself – trust me, your tastebuds (and your teeth) will thank you. 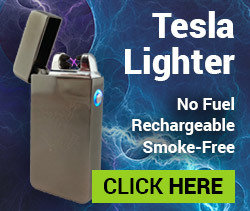 This entry was posted in Camping, Cold Weather Survival, Emergency Preparedness, Emergency Survival, Family Survival, Outdoor Survival, Prepping, SHTF, Survival Cooking, Survival Food Recipes, Videos, Wilderness Survival and tagged best survival foods, bug out, bug out bag, bug out bag essentials, DIY, DIY Survival, diy survival tools, food, food storage, survival, survival food, what to put in a bug out bag on July 10, 2016 by Survival Frog.